Every chapter strives to better their community through Alpha Phi Delta but Epsilon Epsilon chapter has taken their mission to a whole new level. Throughout the 2016-2017 academic year they have raised both funds and awareness for many different causes including Autism Speaks, Breast Cancer research, No Shave November, and lent a helping hand to a brother in need from another chapter suffering from testicular cancer. In the coming weeks they will also be working with St. Baldrick's to raise funds and awareness for cancer patients. 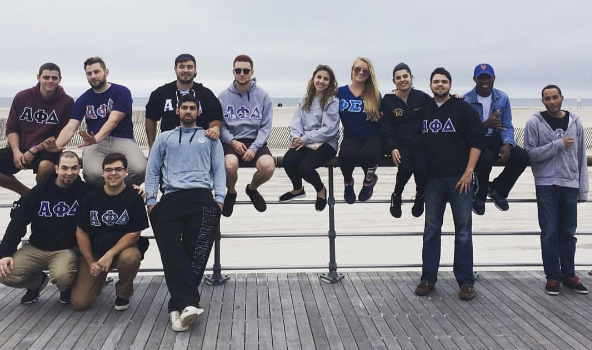 The brothers of Epsilon Epsilon Chapter at a walk for "Autism Speaks"
Epsilon Epsilon and the other Chapters of the Long Island District of Alpha Phi Delta came together on May 9th, 2015 to host its First Annual Barbecue for Mothers Against Drunk Driving (MADD). The event was a fun-filled day of food, soft drinks, sports, music, and much more. 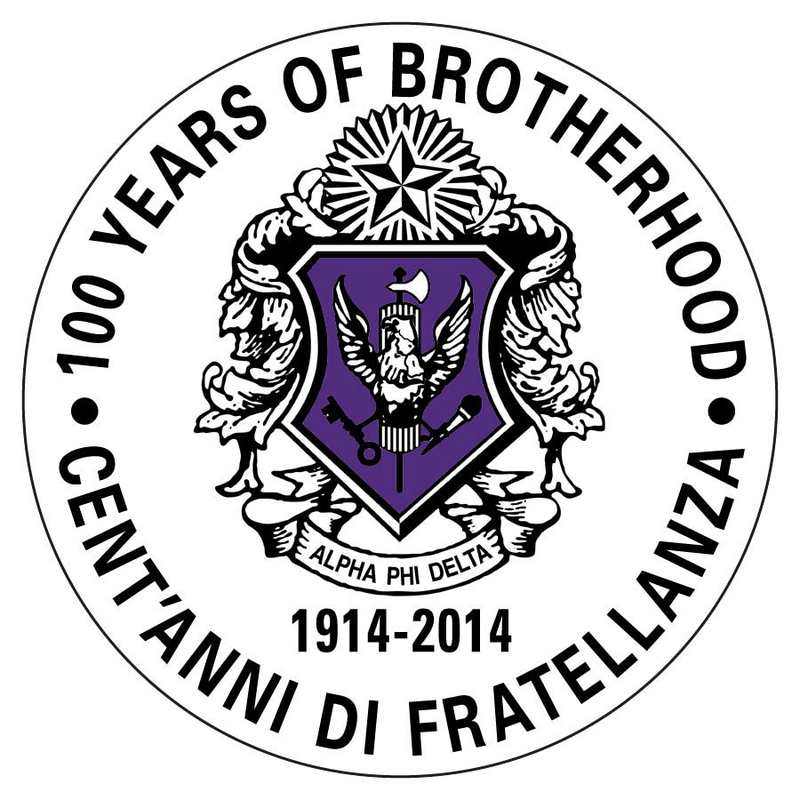 It was sponsored by Epsilon Gamma Chapter (St. Joseph's College), Epsilon Epsilon Chapter (Farmingdale State College), Gamma Omicron Chapter (Stony Brook University), the Briarcliff College Colony, and the Dowling College Colony. By the end of the day, over 75 guests attended the event, with even more supporters making donations to the event. The donations allowed Long Island District to raise more than $1,100 for MADD. As a result of this event, the brothers of Alpha Phi Delta were recognized by television program: Heroes of our Island (broadcast by FiOS); on that program they were awarded a place on the program's "Honor Roll." Alpha Phi Delta Fraternity continues to take pride in serving to better our nation and our campuses by joining in the MADD campaign to eliminate drunk driving. 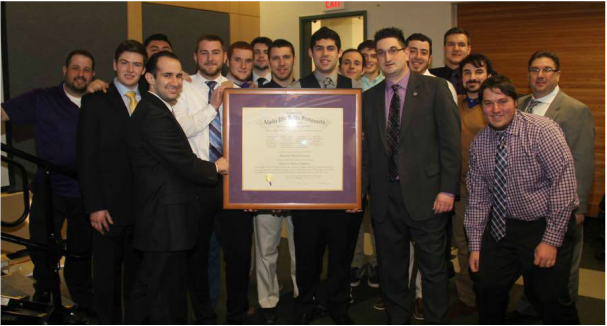 At the February 28, 2015, Annual Meeting of the National Council, the delegates moved the Fraternity closer to the 100-chapter mark as they voted with unanimity to charter our Colony at Farmingdale State College as our Epsilon Epsilon Chapter -- our 98th chapter. Amidst the applause of the Council, the brothers of Epsilon Epsilon came forward to be recognized for their chartering, and then seated as an official part of the membership of the National Council. Upon Chartering and being seated, a motion was put forth and approved to place Epsilon Epsilon into the ever-growing New York City East District. 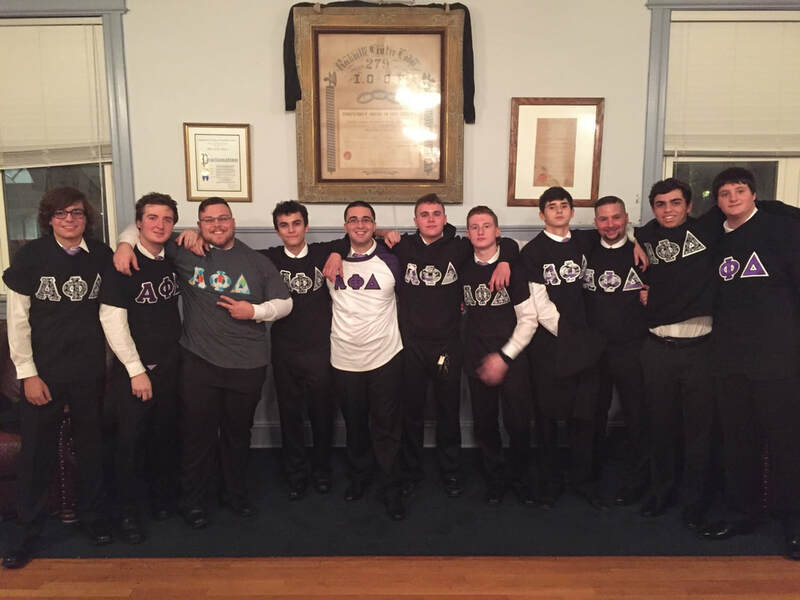 Epsilon Epsilon Chapter at Farmingdale State College is located in Farmingdale, N.Y. and is part of the State University system. The college was founded in 1912 as New York State School of Agriculture on Long Island. Currently, the college boasts an enrollment of over 5,100 full-time students and over 1,700 part time students. It is, of note, the 98th Chapter of Alpha Phi Delta, and the first chapter of Alpha Phi Delta's second century. The chartering of Epsilon Epsilon makes the prospect of our 100th chapter being chartered this summer or next winter very strong. Epsilon Epsilon Chapter with Fraternity Officers on the day of its chartering.